You can also see when your coupons expire, where your concert seats are, and the balance left on that all-important coffee bar card. When Apple gave a preview of Passbook at a developer conference last June they said that United was planning to support it, but didn’t mention any other airline partners. American was the first airline to offer a native iPhone app and one of the things they do really well is make it easy to manage your travel plans with technology. 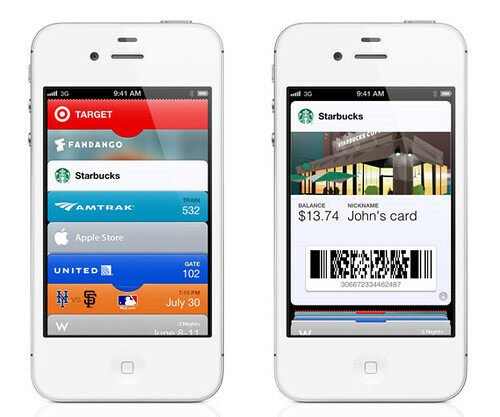 I’m a enthusiastic iPhone user and can’t wait to try Passbook. Go here to read the rest of the article. AA iPhone App looks a rehash of their mobile website, which is not very useful. I’m hoping that United has an update in the next few days to their app with support for passbook. It is not very complicated, and is probably only a few hours of programming, I have made some mock boarding passes just to see how it looked, and it took me a couple hours, and that was with manually putting in all the data and such, not one generated with existing data. Can’t imagine the story is much different for AA. Siri integration would be nice. Me: Siri, when’s the new flight to Dallas? Siri: I’m sorry, I can’t help you with flights. Wonder how much data American / Delta will allow onto the new iPhone passbook since they’ve taken the access away from AwardWallet? @ MichaelP – My favorite feature of the app is the parking reminder. Other than that, I prefer the mobile site. @ Kris Ziel – UA was smart to get a head start on everyone else, I’d be surprised if they did’t go live when the new iPhone launches. Thanks for the comment! @ The Weekly Flyer – I”m a registered iOS developer and Apple provides technical documentation detailing what data is shared, how it’s shared, security protocols, how they manage personally identifying information, and liability agreements. @ Jamison – I like your idea. I’d pay for those features. Passbook sounds like a useful new app. I look forward to trying it out! This looks safer than award wallet. It would be nice if all airlines would follow AA and won’t need any paper boarding passes any more. @ VI – I imagine that the days of paper boarding passes are few. Thanks for reading!